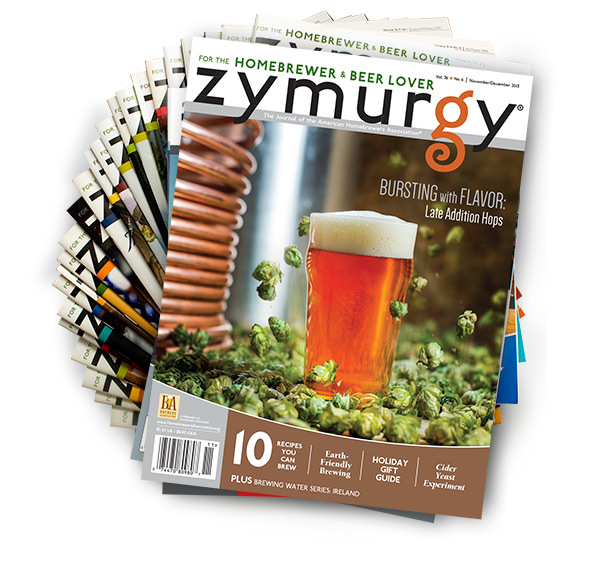 The American Homebrewers Association Zymurgy Resale Program allows homebrew supply shops, bookstores, newsstands and other retailers to sell Zymurgy magazine. This program is a great way to generate revenue for your business and help your customers stay on top of the latest and greatest in homebrewing. After all, knowledgeable brewers are the best brewers and make the best customers. You can order as many copies of Zymurgy as you like. 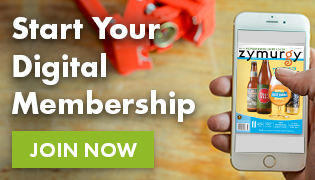 You may change your standing order for Zymurgy at any time by contacting the Brewers Association. Unsold copies may be returned for a full credit so long as they are returned within 6 months of receipt. The Brewers Association is not responsible for additional shipping charges for return. FREE Zymurgy magazine display stand for Resale Program participants. For more information and pricing, please contact Millie Shamburger, 303.447.1246. For information on updating your account information or cancelling your participation, please download the Zymurgy Resale Update/Cancellation Policy. Your customers come to your shop for homebrew supplies, and now you can be their resource for homebrew books, too. 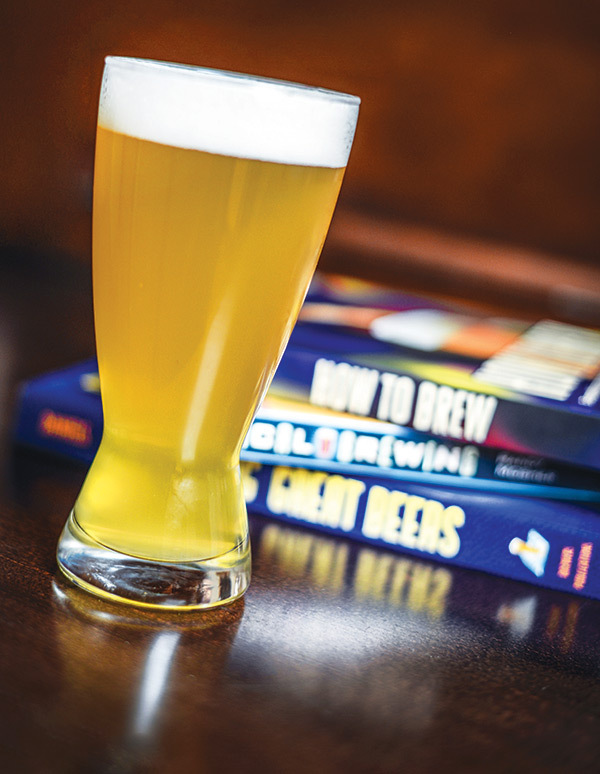 The AHA can supply you with a variety of books to sell in your shop from How to Brew by John Palmer, our most popular title, to the Best of American Beer and Food by Lucy Saunders, a cookbook for beer aficionados and every beer style book in between. Brewers Publications books are available for bulk purchases. Place an order for as little as four books or as much as a case of the same title. With 50 titles available for bulk purchase, you are sure to find a few that will appeal to your homebrewing customers. Visit BrewersPublications.com for detailed information on available titles, author bios, upcoming projects and resell opportunities. 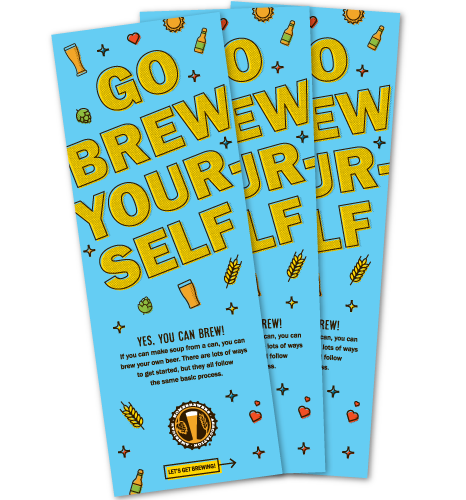 Go Brew Yourself is an informational pamphlet that introduces prospective brewers to the process of making beer at home. These eye-catching pamphlets can be handed out to brewers that are new to the hobby, included in equipment and recipe kits, and wherever else you think it would spark interest in homebrewing! To request complimentary copies of Go Brew Yourself, please complete this form or email info@BrewersAssociation.org. Learn More: To get more information about publications sales, contact Millie Shamburger.